In 2012 Flanders certified both B&B and campsite. Whether you stay in our house or at the campsite, you will definitely enjoy a lovely, relaxed, peaceful atmosphere and a Burgundian lifestyle. You awake in an area which is characterized by agriculture, fruit growing and winegrowing. The village Zouteleeuw is situated in the direct surroundings. The city hall, the cloth maker’s hall and the St-Leonardus Church are relics from the rich history of this region (16th Century). We learn from history that the sugar industry in Tienen has gradually replaced the textile industry. In the sugar museum in Tienen you can observe the process from sugar beet to sweetener. St. Truiden is, for us, the gate towards Limburger cordiality and offers a wide variety of activities and highlights. In Diest you can become familiar with our Dutch prehistory. Our guests from the North always feel at ease here. You will spend the night near a network of bike tracks and footpaths. Since 2012 there have been two routes for riders & horses. The easiest way to reach Leuven is by train. In 15 minutes you will reach the heart of this university town. This town offers culture, history and culinary highlights and is definitely worth a visit. Leeuwerikenveld offers a perfect operating base to visit and discover this region, situated on the border of Flemish-Brabant, Limburg and Hesbaye Brabanconne (our French-speaking southern neighbours). Suitable for individuals, families and for various types of groups. S. Groups. 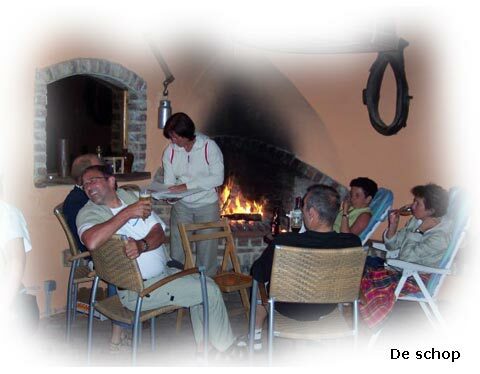 Your stay in Leeuwerikenveld is unique and for some groups, for example with large age differences, perhaps a dream location to spend the holiday together (parents/kids, grandparents/grandchildren) with plenty of comfort for all of you!